CLOVIS, CALIF –A number of newly released Pelco by Schneider Electric Sarix IP cameras have received factory certification from Lenel Systems International under the Lenel OpenAccess Alliance Program. Lenel established the OpenAccess Alliance Program to enable its customers to easily interface its OnGuard system to third-party technologies — which now include the Pelco Sarix IP camera family and compatible Spectra HD domes with Sarix technology. 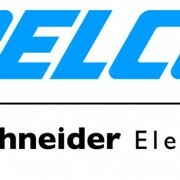 “Schneider Electric has completed required factory testing to validate the functionality of the interface of their Pelco Sarix IP network cameras to the Lenel NVR. We look forward to their continued involvement in the Lenel OpenAccess Alliance Program,” said Gidon Lissai, director of strategic alliances, Lenel.